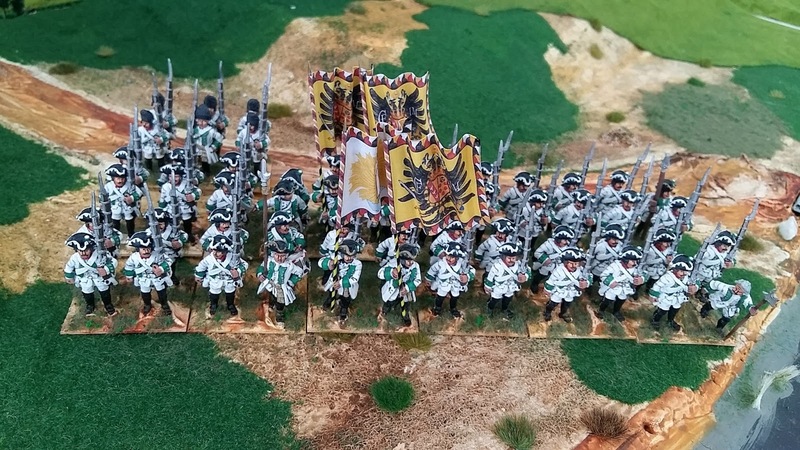 This is the last of the regular Austrian regiments I'm painting. 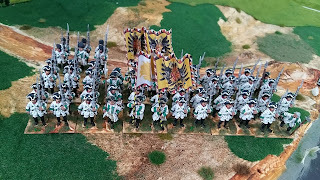 Wied-Runkel had unusual green facings (if I recollect only one other Austrian regiment - Los Rios - had green facings) but this one also had scalloped hat lace which is a bit tricky to paint. 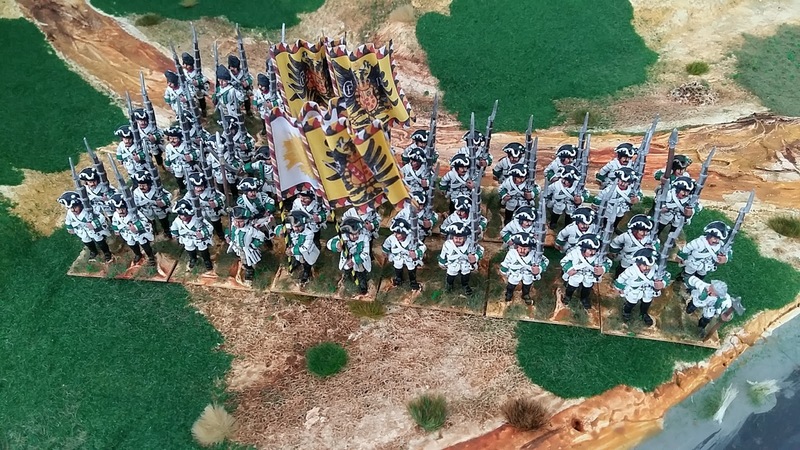 Figures, as usual for this army, are a mix of Crusader and Front Rank. 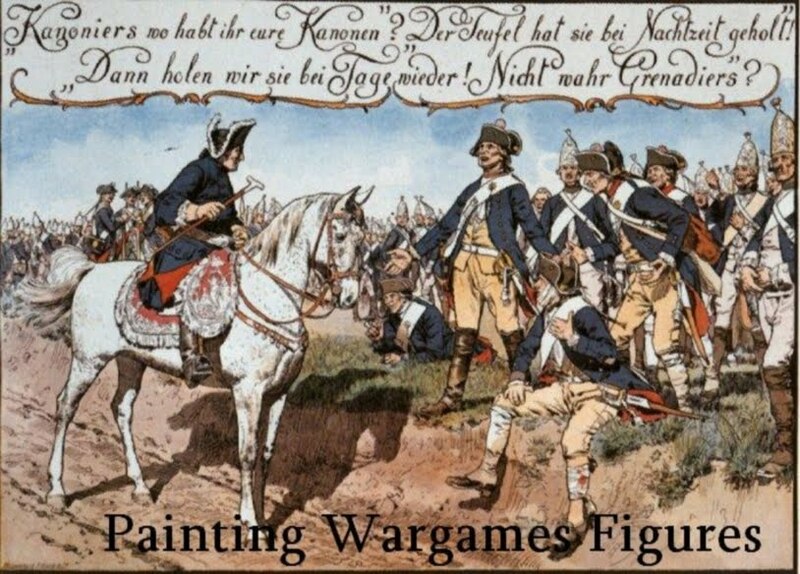 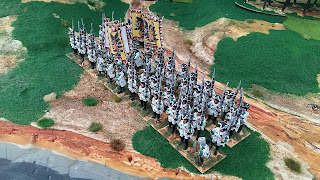 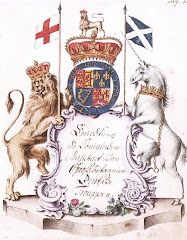 Tomorrow I'll post Red Wurzburg and then some final grenadier companies. 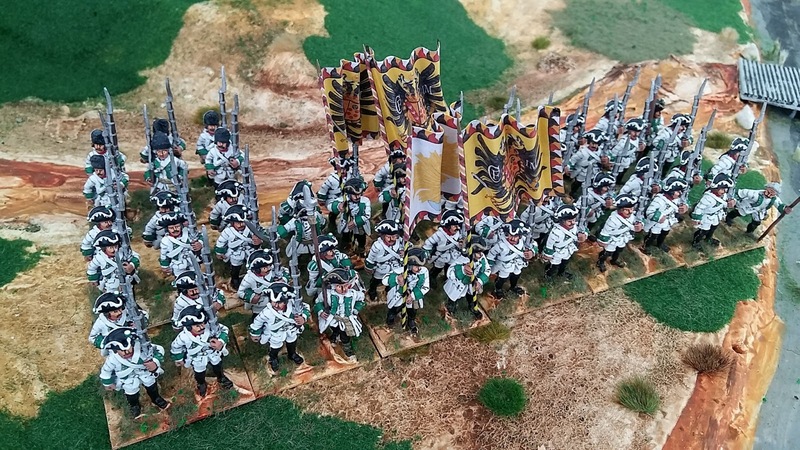 That will conclude the 40 battalions painted for this army.